Looking for a casual alternative to your trusty denim shorts? 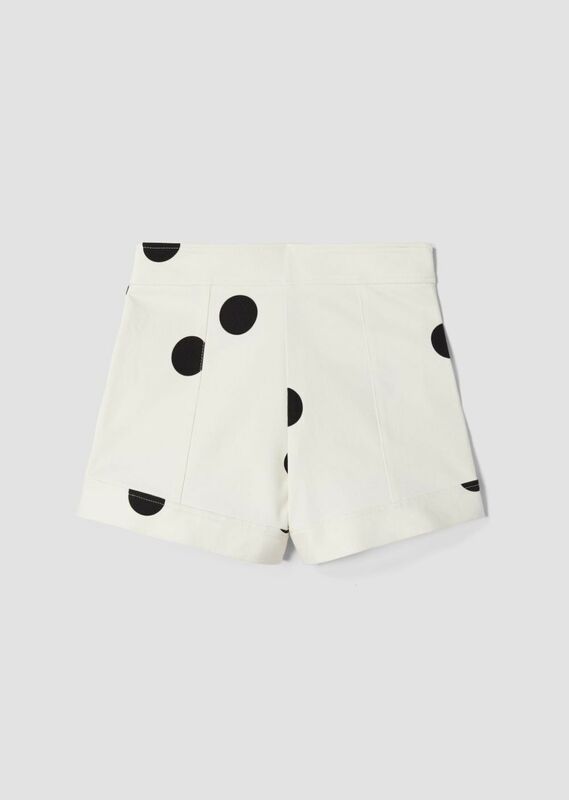 This playful polka dot pair are perfect. They're neatly cut from a stretch cotton-blend and have a button closure at the side of waist to define the structured A-line shape. 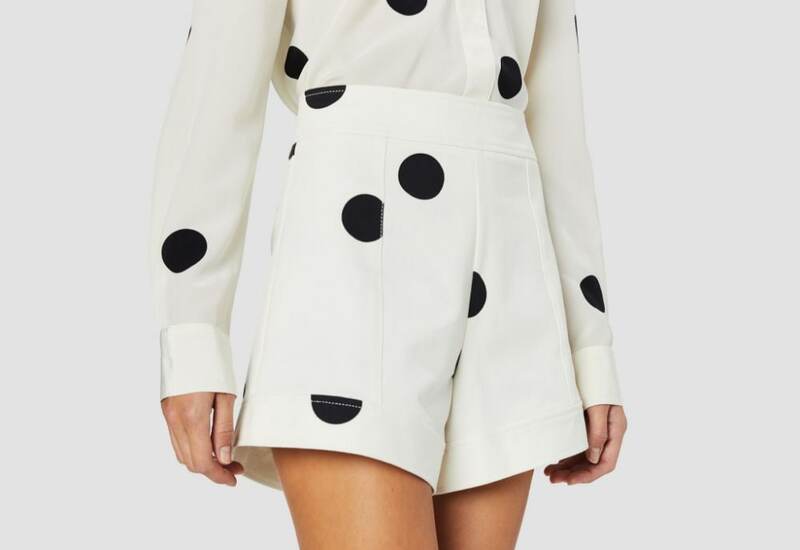 Polka dots are slightly scaled down on actual garment.